Books don’t usually get a whole lot of pre-launch hype. 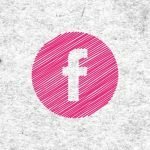 There’s rarely a Facebook group, or a crap-ton of Facebook Ads luring you to sign-up. And they’re usually priced at around $6.99 instead of $699. As a result, they are often overlooked as a learning tool worthy of your time and money. But there’s a lot to love about books. ♦ You can read plenty of reviews from real customers to see if it’s worthy of your investment. ♦ If it’s a printed book you can avert your tired eyes from a screen for while. ♦ You can use the contents page or index to skip through to the nugget of info you need right now. ♦ You can quickly go back to that nugget of info anytime you need to. ♦ You own it forever, the server won’t go down, the host won’t remove the content you’ve already paid for. ♦ When you don’t want it anymore, someone else can enjoy its value when you share, donate or sell it. Is that enough book love to convince you to check out this list? They get out of date fast. Especially anything related to Internet marketing. So always buy the most up-to-date edition available. 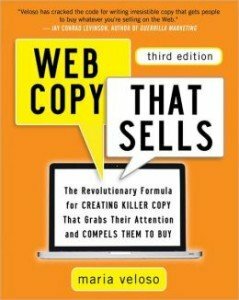 For those of you who love to learn and want to be a better copywriter, here's a rundown of some of the best copywriting books available right now. 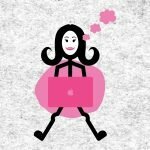 Want to save $100s on your copywriting training? Buy a book. Alas this is a Kindle only book currently, but is a good place to get started if you are completely new to the concept of persuasive copy. Read this, then you will be ready for more in-depth books, courses and other resources. This is a comprehensive textbook that covers writing persuasive copy for a range of online communications including websites, emails, opt-ins and auto-responders. She also includes sections of the psychology behind getting people to buy and traffic generation strategies. This book is not about making sales. This book is about building the relationship that is necessary before you can make the sale. It’s about writing engaging content that will help you keep your readers attention after they have landed on your website. This is especially useful if you come from a corporate or printed copy background and need reconditioning in the ways of the web (your convoluted sentences and clever-sounding words aren’t going to work in this playground). 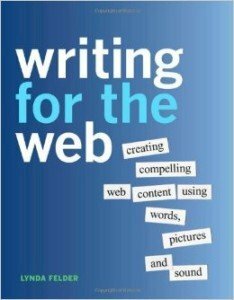 This Wall Street Journal bestseller is aimed at upping your game when it comes to writing anything online, this book can help any entrepreneur that wants to communicate more clearly. There are sections writing landing pages, tweets, infographics, blog posts, as well as more general guidance on getting your words out. 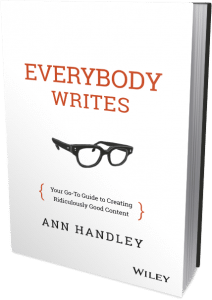 Ann Handley is an author, speaker, monthly columnist for Entrepreneur magazine and one of ForbesWoman’s top 20 woman bloggers. 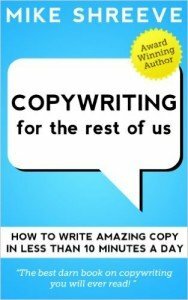 Written by the creator of The Copywriting Academy and The Sunfish Writing Agency, this book is perfect as an off-the-shelf reference guide. 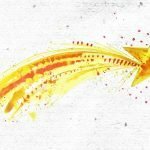 It includes a section of every type of content you might want to write: a sales page, a press release, presentation, email, article…and more. For each content type Andy explains how to write it, what works and what doesn’t. You don’t sit down and read it in one go, then hope you’ll remember to implement the lessons. You just grab it off the shelf and put the learning into action immediately. I’m a book junkie. 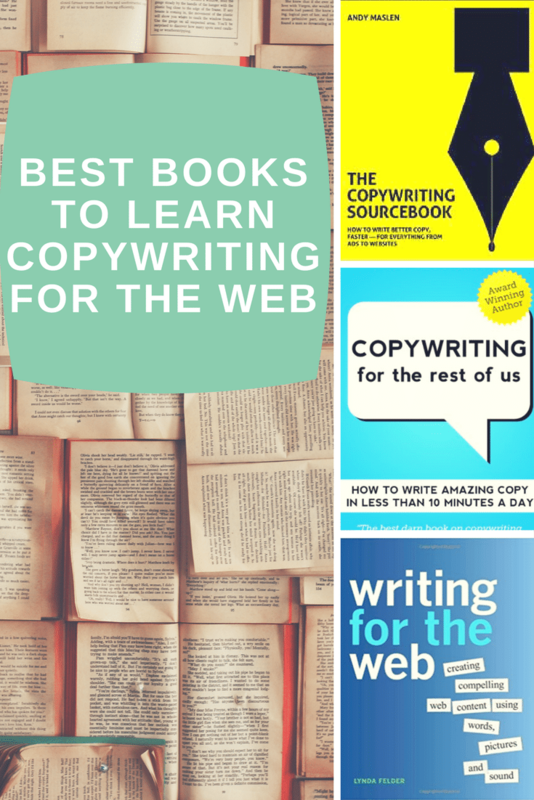 There are plenty of other excellent copywriting and marketing books out there. I’ve created a list in Amazon of the books included in this post, plus some others that are well worth your attention (I haven’t read them all, but they all come with great reviews). 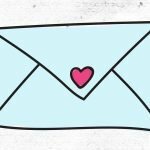 I must give a special shout out to Made to Stick, by Chip and Dan Heath, and How The World Sees You, by Sally Hogshead, as both were game changers for me. Neither are about copywriting but both hugely influenced my understanding of Internet marketing. Now it's your turn. 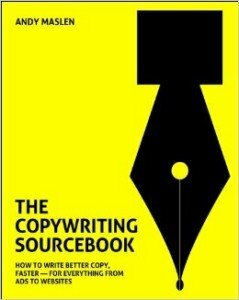 In the comments below, or over on my Facebook page, tell me what's your favourite copywriting book? Me too. 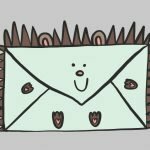 Immerse yourself in online copywriting learning loveliness, without paying a penny, with this Ultimate Gudie To Free Online Copywriting Courses. Found this post helpful, entertaining, enlightening, even earth-shattering maybe? Don’t keep it to yourself. Place a gentle click on one of the social media buttons below and share the love. Cheers. More than 700 business-builders have joined the Worditude Marketing Medley - a free membership giving access to my best free resources, the Worditude Facebook group, and my semi-regular newsletter (so you never miss good stuff). I run this tiny business alongside home-educating my two boys. I don't have time to do ALL. THE. THINGS. And I don't have the budget to plough $$$ into online ads. Instead, I focus a few hours a week on creating marketing content that builds my audience, nurtures our relationship and converts them into paying customers. If that sounds like the kind of marketing model you'd like to use, then hit the button below and get started now for free.